A-ny-way – this is a topic that has entered my mindset quite a few times – usually while I am running – which comes as no surprise then, why it has taken me this long to take a minute and blog about it! See, I have been beyond blessed in my running journey thus far to not have sustained any major injuries. Of course, I get the aches and pains here and there and make sure to take extra rest days when needed so I DON’T cause any kind of excess muscle strain/etc., but as training progresses, it can become quite a mental battle to not stick to a workout you had committed yourself to! 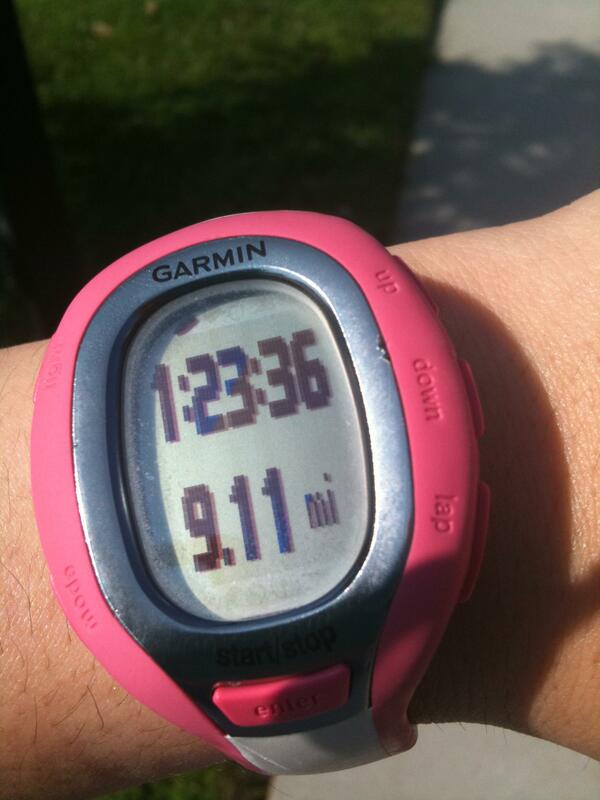 Sunday: I ran 9.11 miles at an easy pace – outside – late morning – no problems. Iced afterward and felt fine. Monday: Usually a non-run or a recovery run day – woke up 5 AM – felt soreness on my knee – went back to bed. Didn’t get in any other workout that day due to schoolwork. Tuesday: Usually an easy run or tempo day – woke up at 5 AM – felt soreness on my knee, left ankle and arms (!?) Went back to bed. Wednesday: Didn’t even attempt to wake up early – did some crunches/push-ups when I came home from work. Thought about running after class but it was already dark outside and watched DEXTER with the hubs instead. Thursday: Usually a speed day – woke up at 5 AM – was SO STOKED TO FEEL BETTER – no leg pain! Since I didn’t run easy Tuesday, I ran 7-easy miles, negative splits, 1 hr and 47 seconds! See, the old me would have never let this kind of schedule slide – “how are you going to run a MARATHON if you cannot even get in all your runs? !” – that’s what I’d yell at myself. But you know what – that ain’t me! I know for a fact that those mornings I couldn’t pop out of bed (which is HIGHLY unusual for me) were due to increased stress (with school starting) and lack of sleep. SLEEP is important! I can function on 6, would prefer 6.5 to 7 and probably hit the magic threshold around 7.5 to 8. Anymore than that, it’s too much – for me, anyway! 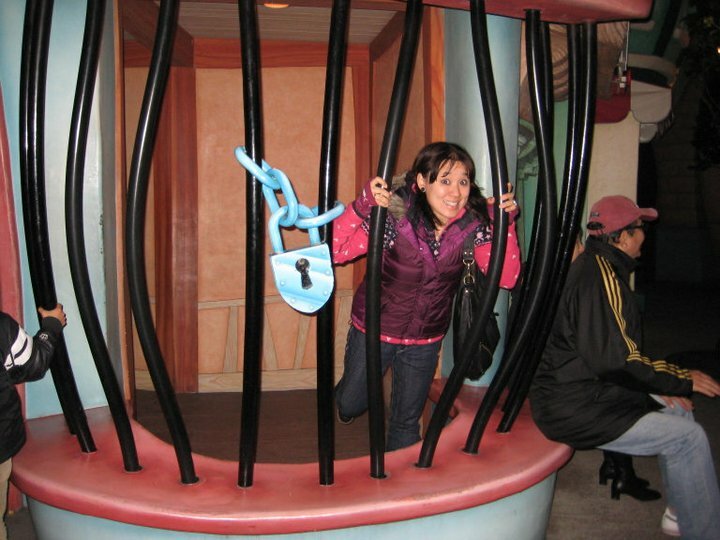 Don't feel TRAPPED to a regimen! As important as schedules are, it is just as important to gauge YOU. If you’re not going to give 110 percent (oh what a cliche!) to your workout, WHY SHOULD YOU EVEN DO IT?! This is not to be confused with enjoying your workout by the way 😉 Sometimes you have a bad run, or class, or whatever, but it is the effort you put in – whether that’s the effort to really dig deep on a hard speed workout, or battle or mental demons by forcing yourself to slow down on a long run – those are all big challenges! Do what FEELS right, even if that means sleeping in once in a while. What challenges do you face when taking steps to accomplish a goal?